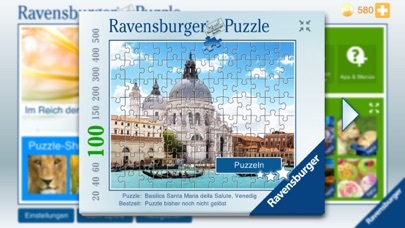 The best jigsaw puzzle app for iPhone and iPad - of course from Ravensburger. 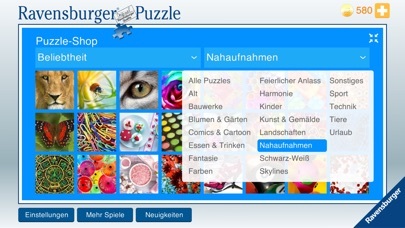 A huge selection of motifs, intuitive controls, original Ravensburger quality, beginner-friendly tutorials. 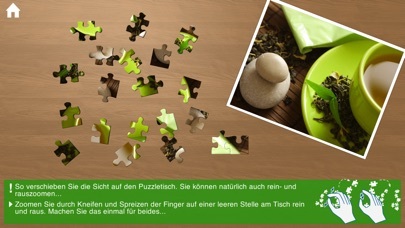 No lost pieces, no occupying the dinner table for weeks. 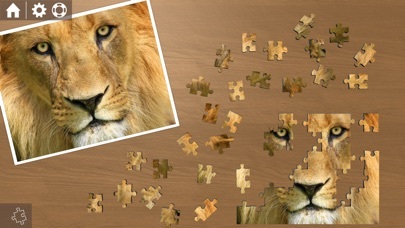 Start the app, select a puzzle and go. 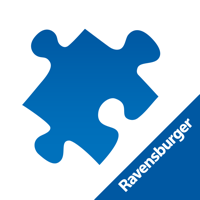 For beginners, kids or puzzle pros: The original Ravensburger stamps in 20, 40, 60, 100, 150, 200, 300, 400 or 500 pieces offer every puzzler a challenge. 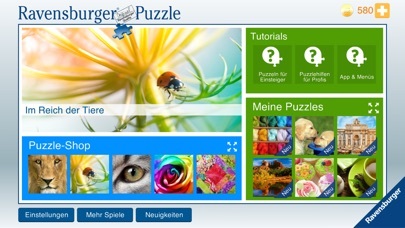 The comprehensive tutorials allow an ideal introduction to the digital world of jigsaw puzzles so you can play like a master puzzler after only a few minutes and enjoy 100% of the puzzle fun. This game contains the possibility to buy extra content through in-app purchases. With the initial purchase of the game comes a basic number of motifs which can be played for free. Additional motifs can be bought within the game.